When their taps began spitting out air instead of water a few years ago, one family in Paso Robles, California, was forced to snake a hose from a neighbor’s property into their home for drinking water. They ate from paper plates instead of dishes, could no longer wash their laundry at home and watched their vegetable garden dry up. For households that rely on well water — a common situation across the rural West — the impacts can be severe when a well runs dry. Stories like that one streamed out of California during the drought that officially ended earlier this year, but the extent of the problem — exactly how many wells were affected — was unclear. 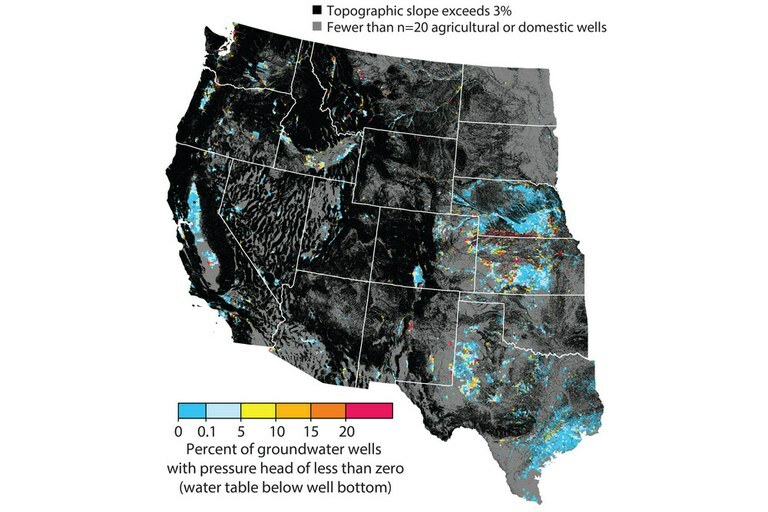 Now, new research suggests that one in 30 groundwater wells in the West, wells that supply farms in addition to homes, went dry between 2013 and 2015. 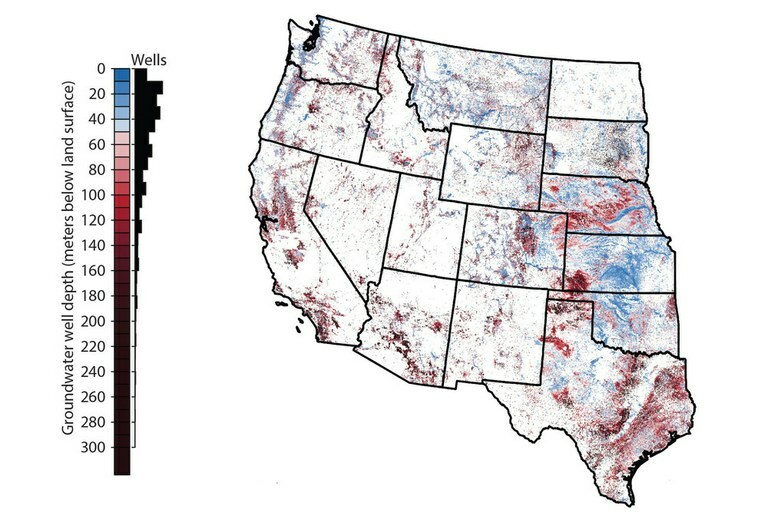 Groundwater accounts for about 20 percent of the water used nationwide, but in many places, it’s being sucked up from aquifers faster than it’s being replenished. According to U.S. Geological Survey data from 2010, the most recent year for which data are available, pumping rates in the West were highest in California’s Central Valley, Idaho’s Snake River Plain, and the High Plains of Nebraska, Kansas and Texas. Some regions where Perrone and Jasechko identified many dry wells are improving. During last year’s wet winter, for example, a recharge program in Idaho added 317,000 acre-feet of water to the Eastern Snake River Plain Aquifer, which spans nearly 11,000 square miles. “The trick is being able to do that over the long term,” says Wesley Hipke, the Idaho Department of Water Resources employee who manages the program. It’s especially important to add as much water as possible during wet years, he says, to make up for years when water is less abundant. Emily Benson is an editorial fellow at High Country News.